Part of the fun of the summer months is getting the motorcycle out of the garage again. As with any vehicle, there are some safety precautions you can take to make the experience safe and fun. The single most important thing you must do when riding a motorcycle is put on a helmet. Time and again helmets have been proven to save lives (and money on medical bills). However, not all helmets will protect you adequately. It is important to find a helmet that is approved by the Department of Transportation to provide an acceptable standard of protection. In fact, Michigan law requires that anyone under 21 wears a helmet approved by the Department of Transportation while on a motorcycle. Be sure your helmet fits tightly enough and does not obstruct your vision. Full-face helmets are the best, offering protection all the way around your head. They also prevent your face from hitting the ground in the event of an accident. 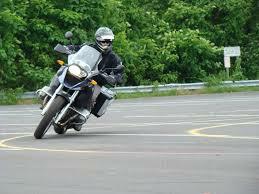 Before you go out for your first ride of the season, go to a parking lot and brush up on turning and stopping. It can take a little while to remind yourself how much stopping distance you need, or how it feels to turn or even accelerate on a bike. Wear proper protective clothing. On a motorcycle you are exposed to every element and hazard of the road and proper clothing can make a world of difference in the event of an accident. Often in motorcycle accidents the driver slides along the asphalt. You can imagine how drastically different that experience would be for a driver in leather protective gear compared to one in shorts and sneakers. Make sure any passengers you take on your motorcycle are accustomed to riding and will not be alarmed by how it feels to turn, stop, or accelerate. Michigan law requires that any passenger on a motorcycle has a designated seat and footrest. Also review the laws about children riding on motorcycles before you transport them. In Michigan there is no minimum age to ride on a motorcycle but a child’s feet must be able to reach the footrest to be eligible to ride. Finally, be cautious to ride only within your personal skill set. When riding in a group with more experienced drivers, it is natural to try to keep up with more skilled drivers, but that can be dangerous to you and the drivers around you. You’ll get there! PreviousPrevious post:Are You Thinking of Hanging Up Your Hat and Retiring?NextNext post:Make a splash – and stay safe!